Kishangarh Marble Association is organization involved in development of Marble industry in Kishangarh and help customer to get best price and good quality marble at market price and help them not to be cheated from Dalals. Kishangarh Marble industry is the bigest marble mandi of ASIA . In Kishangarh there are 600 Gangsaw estabilished mfg. marble slabs & tiles. The Investment in marble units is of Rs. 5000 Crore approx. More than 9000 marble seller units are here. This sector employed Fifty thousand direct & indirect persons. In the 32 Granite enterprise Rs. 16 Crore capital investment & 385 persons have been employed. Another main enterprises are of marble cutting & crazy. The Investment is of Rs. 15.30 Crore & 1995 persons have been employed in marble edge cutting units. 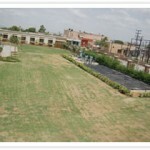 Industrial Area are developed by Riico Ltd. These are I,II,III & IV Phases industrial area & marble mandi also developed by Riico another industrial area Silora is also developed by Riico. Ajmer, RajasthanBy Lokendra SinghKishangarh (Rajasthan), Nov.24 (ANI): The ongoing recession has bruised the real estate sector and the marble industry of Rajasthan.Kishangarh, which was a leading town in marble processing till recently, has been forced to bear the brunt of recession. Hundreds of marble miners and processors here have been affected by stagnancy. According to the Kishangarh Marble Industry Association, the downward trend has resulted in sales falling by 10-15 per cent. Quarry owners and processors of marbles, granites and other stones fear that the global recession can drastically affect their business. “The impact of slowdown has come on real estate. All the big players have stopped taking new projects and they are only concentrating on existing projects and not any new ones, said R. K. Gupta, the Vice President of R. K. Marbles in Kishangarh.Now everyone is worried about the continuation of existing projects, Gupta added.Over the past four decades, Kishangarh, the tiny town of Rajasthan had become a leading center for marbles in entire country.We have reduced the cost of our marble and are struggling keep our industry alive,” said Jai Narayan Agarwal (present president is Mr. Suresh tak), the President of Kishangarh Marble Industry Association.“Workers won”t be working for less salary. We can retrench five to 10 per cent of workers. We will start using blade that will cost us two lakh rupees whereas earlier we were using blades that cost us 400,000 rupees. We have tried to reduce the price of marble like this. We are fighting against recession,” said Jai Narayan Agarwal (present president is MR. Suresh ji Tak). We are conscious of our social obligation also. We organize free check-up and diagnostic camps in Kishangarh and other economically backward remote areas for the benefit of needy. 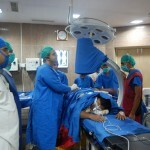 The hospital in association with Kishangarh Marble Udyog Vikas Samiti and Kishangarh Marble Association has launched a project for surgical treatment on economical charges to patients of weaker society. The hospital also considers providing concessional and subsidized medical treatment without any compromise to the deserving. 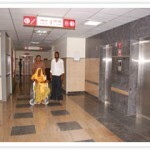 In a very short time, this hospital in Kishangarh has passed many remarkable milestones. Joint Replacement surgeries, Spine Surgeries and over 50 cases of Laparoscopic surgeries and various other surgeries have been done in this short span of time. The Kishangarh Marble Cluster project consists of development of eco-friendly dumping yards and research and development of slurry uses, auditorium, exhibition hall, hospital and trauma centre, removal of transport bottlenecks through construction of inland container depot and construction and upgradation of roads. The cost of the project is Rs 36.80 crore and will be completed in two years. For this project the Union ministry of commerce and industry will provide around Rs 27.60 crore, Kishangarh Marble Association around Rs 5.52 crore, state government around Rs 3.68 crore and the Rajasthan State Industrial Development and Investment Corporation Ltd has committed to provide equity support of Rs 75 lakh. Soon Kishangarh will have the facility of inland container depot. The state government, RIICO and the Centre are funding this project. Since Rajasthan is a landlocked state, to provide for better port connectivity (to other states) RIICO has developed inland container depots at Jaipur and Jodhpur. (Rs 600 crore), BPB plc, UK, India Gypsum (Rs 120 crore), H.R. Jhonson (Rs 250 crore), Apache Footwear of China (Rs 200 crore), and Hero Honda (Rs 250 crore). Neemrana will emerge as an important industrial hub. According to a very recent decision LNG will be made available to this industrial area, as per the demand of industrialists in these areas. Also, Neemrana area is being assessed for establishment of an auto cluster hub. “RIICO is now concentrating on some amazing areas like information technology, biotechnology and establishing specialised theme-based parks in these areas,” says Kuldeep Ranka, Managing Director, RIICO. Along with this RIICO is also focusing on emerging areas like National Capital Region. RIICO has assisted around 896 projects. “Our major strengths are in the field of textiles, minerals, cement, handicrafts, apparels, gems and jewellry, “adds Ranka. 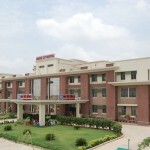 The Hospital and Trauma Centre is a most important facility availed by Kishangarh Marble Udyog Vikas Samiti to the industrial employs nearly 25,000 workers and population of nearly 75,000. It is built in 11336 sq. mtr. Area allotted by RIICO. Kishangarh Marble Udyog Vikas Samiti, Kishangarh, had a burning desire to provide modern and high quality medical care to the patients. This desire was further stimulated and strengthened by the realization that development of modern medical facilities had not kept pace with the industrial development and population explosion in Kishangarh. 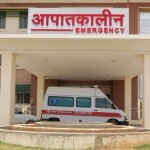 With this objective in mind the Samiti established and commissioned the 100 bedded multi-specialty patient-friendly hospital equipped with ultra modern facilities on 3rd of November 2008 on Ajmer – Jaipur Highway, under the Central Govt. cluster scheme with a clear objective and firm commitment to provide to the patients of Kishangarh & adjoining areas high quality medical facilities. 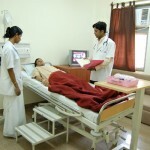 Providing professional yet compassionate medical treatment and strongly committed to the vision of the Samiti, the hospital has provided complete quality medical care. Recognizing the need to be considerate and respectful towards our patients, Marble City hospital continues to combine high quality medical care with a warm human touch. Our Specialist Doctors, Para-Medical Staff and Management follow the Thumb Rule of treating each patient as a family member. The hospital relies a great deal on innovation, introspection & improvement to render, tender, treatment, rehabilitation and health education for patients & their families. The hospital has further augmented its facilities and reinforced its highly-qualified medical team with some of the most talented specialist doctors. In addition to speciality which includes General & Laparoscopy Surgery, General Medicine, E.N.T., Radiology, Pathology, Dental & Physiotherapy, the hospital offers super speciality level treatment in Orthopaedics (Joint Replacement). 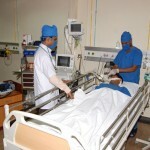 It is having ultra modern four Spacious Operation Theaters to support the needs of the patient. The wide range of O.T. equipment include C-Arm, Laparoscopic set, ventilators, defibrillators, etc. It is having Centrally Air- Conditioned I.C.U., Emergency & Trauma Unit and Post Operative Ward equipped with defibrillators, infusion pumps, centralized oxygen supply & suction system, ventilator, cardiac monitor, pulse oxymeter, ABG Analyzer, etc. 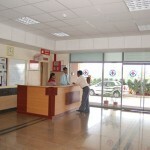 The hospital has well equipped Deluxe Rooms, Super Deluxe Rooms, Male & Female General Ward. Sophisticated technology is vital to the delivery of quality healthcare and Marble City Hospital offers the latest diagnostic services like Computerized E.C.G, Digital X- Ray, Colour Doppler, Ultra Sound, , well equipped Computerized Laboratory, T.M.T., etc. 2D Echo & Endoscopy is done by Visiting Super Speciality Doctors. Our 24 Hours Services include Emergency, Radiology, Laboratory, Pharmacy & Ambulance services. Marble City Hospital has a team of specialist casualty doctors who have high level of training and experience and can fulfill the needs of a critically ill patient with rapid response. The Doctors and Staff quarters are inside the hospital campus which further ensures round the clock availability of Doctor & Paramedical staff. 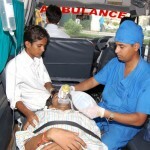 Free Ambulance facility is being given to the patients of Kishangarh and nearby industrial area.